How Many Yogis is coming back to The Edinburgh Festival Fringe! How Many Yogis is offering 3 x 60 minutes all-level Introduction to Anahata Yoga Session. Session includes breathing (Pranayama), physical (Asana) and relaxation exercises (Nidra) playing with the Five Element Form. No Lycra, spandex or previous experience required. This is no Instagram yoga. It is not competitive, it is fun and relaxing. Aim is to introduce Fringe Central participants to a form of yoga anyone can do, anywhere, anytime; to trigger enthusiasm and realisation that taking that 10 min break to stretch and breath in a busy event environment can make a big difference in life and work. 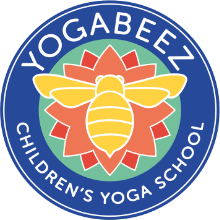 No previous yoga experience required, we welcome all levels, shapes, sizes, genders, ages. Suitable for comedians wanting to get out of their head, anyone who needs a break from their theatre job, their Fringe colleagues, and anyone interested in positive energy and movement. There are just a handful of spaces left, which can be book at the Fringe Central Reception. If full, do ask for waiting list as people are bound to drop out last minute!